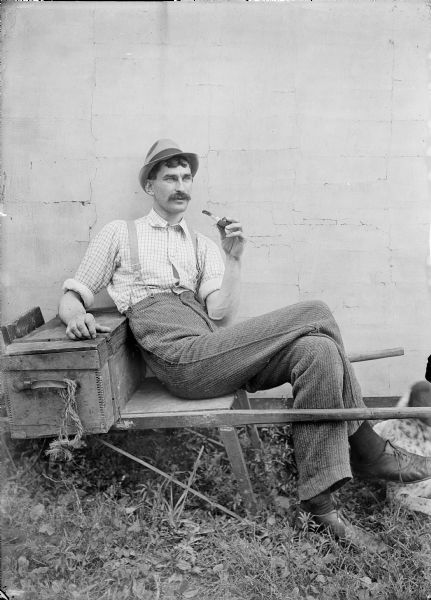 Outdoor portrait of Kent Wood sitting on a wooden wheelbarrow against a wall holding a pipe. He has his right arm resting on a wooden box. A dog (at the edge of the image at right) is lying at his feet.